The Canadian CED Network's Policy Council submitted a response to the federal government's invitation for pre-budget submissions for the 2018 Federal Budget. 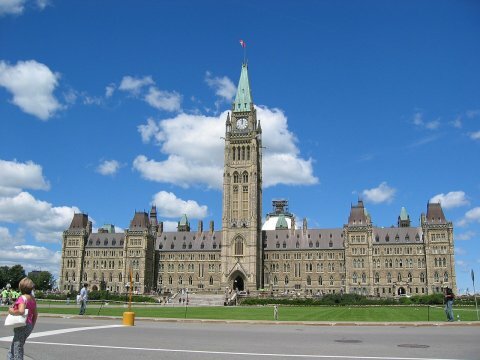 This year, the House of Commons Standing Committee on Finance called for submissions that addressed productivity and competitiveness. b. Support the creation of innovation incubators and labs on priority social issues (such as community renewable energy, population aging, social inclusion) to accelerate social innovation and the creation of social enterprises and cooperatives focused on social impact across Canada. c. Provide a supportive regulatory framework giving charities and non-profits more flexibility to pursue business models that generate both social and financial impacts. d. Support innovation networks and communities of practice to connect relevant stakeholders across sectors, such as through the Social Enterprise Ecosystem initiative being led by the Canadian CED Network, the Chantier de l'économie sociale, the Social Enterprise Institute and Buy Social Canada. e. Adapt Québec's program for OLTIS (organisations de liaison et de transfert en innovation sociale) to create pan-Canadian social innovation knowledge transfer centres such as the TIESS. a. Contribute to the capitalization of tailored, demand-designed investment funds such as the Co-operative Investment Fund proposed by Co-operatives and Mutuals Canada, the non-profit social enterprise investment fund proposed by the Social Enterprise Council of Canada, and the social finance fund of funds proposed by the National Impact Investment Practitioners Table. b. Support market access initiatives such as the Social Enterprise Ecosystem for Canada project that would create a pan-Canadian online directory and e-commerce platform for social enterprises, building on the success of the Québec-based Commerce solidaire. a. Implement social value weighting in all federal RFPs and contracts. b. Include community benefit agreements in federal development projects. c. Implement a Living Wage requirement for all contractors, including their subcontractors, on government contracts. c. Eliminating the Canada Job Grant program, or ensuring that it does not impact funding intended to support vulnerable Canadians. This program has mainly served as an upskilling fund. d. Establishing a portable account, financed by contributions from workers, employers and the federal government, for Canadians to draw upon to pay for lifetime learning and job retraining.